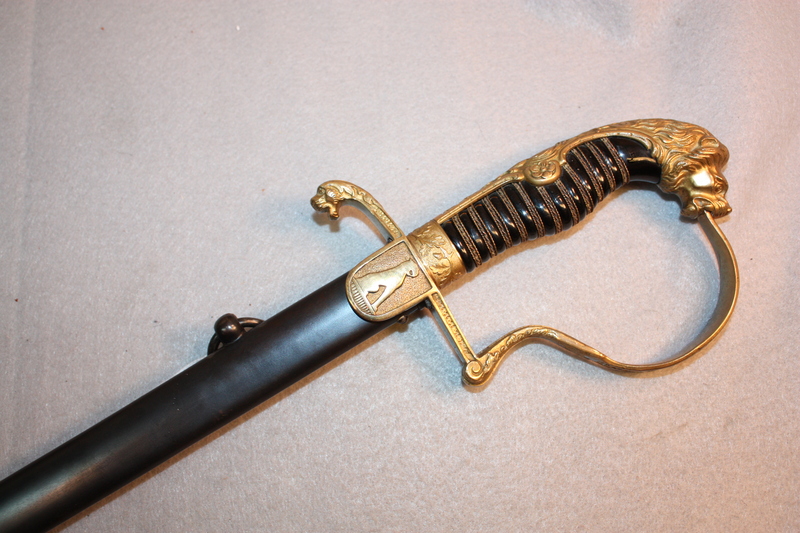 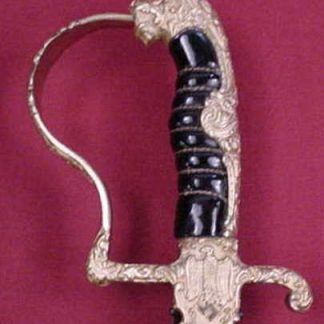 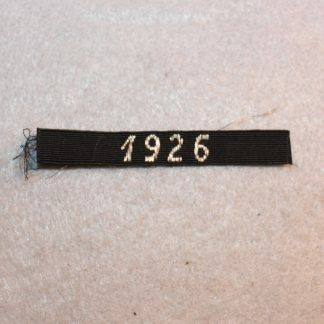 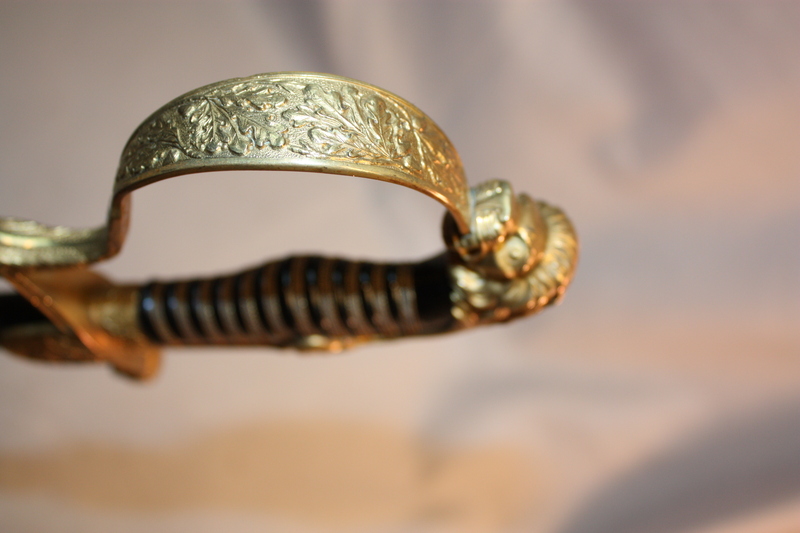 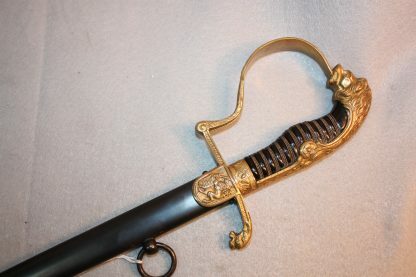 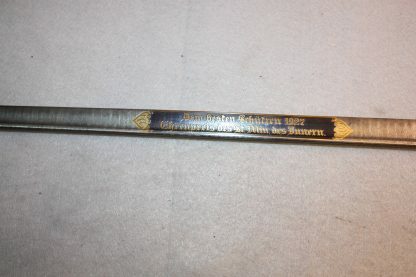 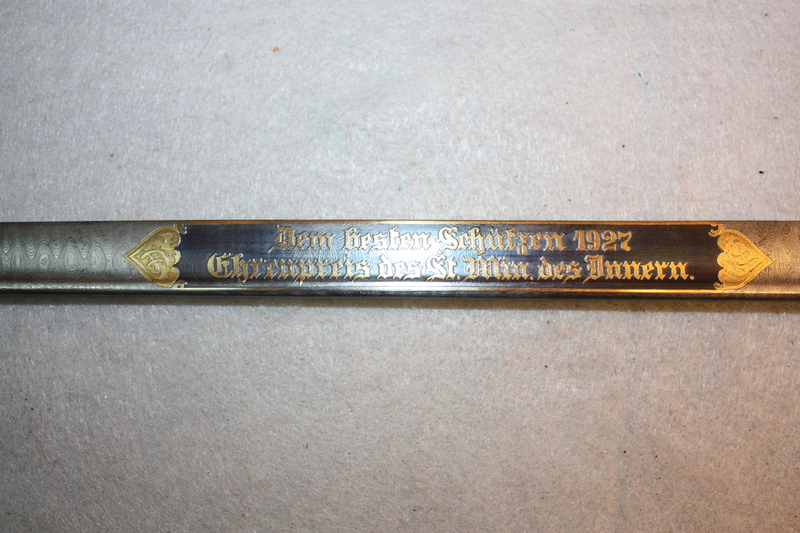 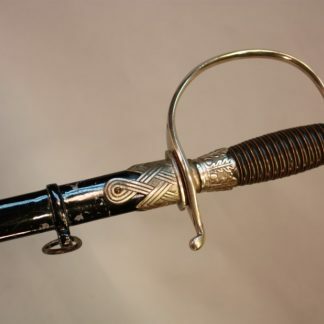 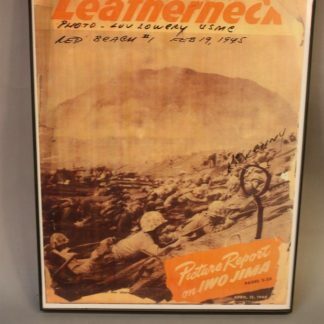 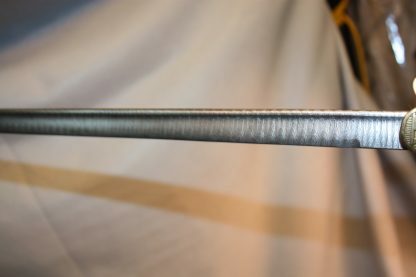 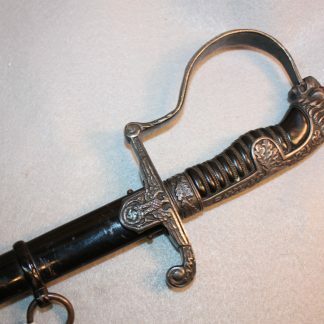 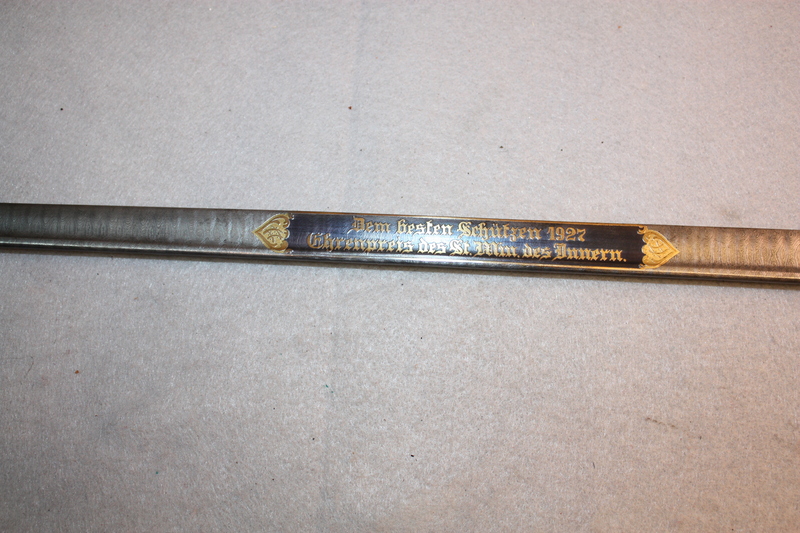 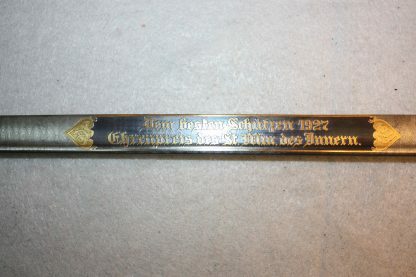 Shooting Prize Sword – Military Collectibles, Inc. 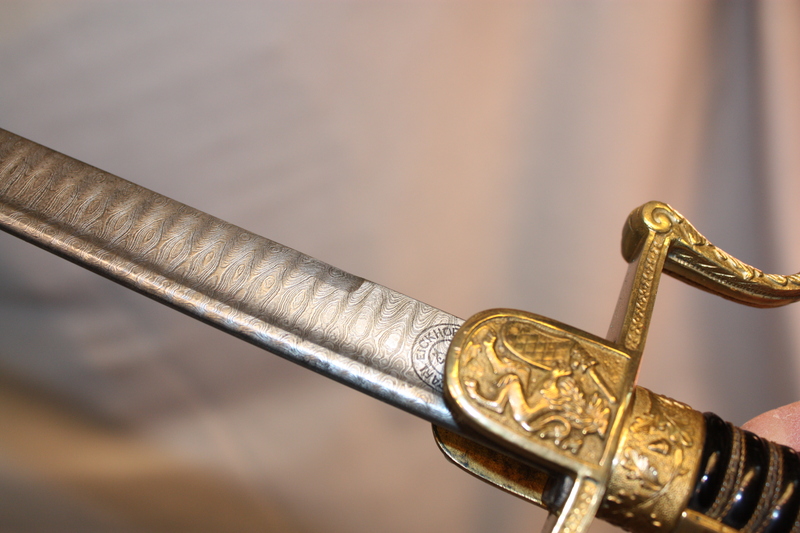 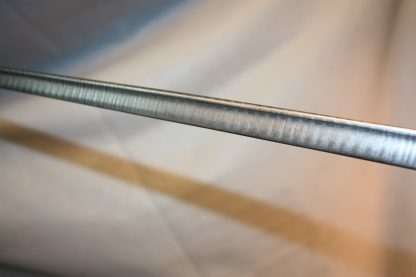 This absolutely gorgeous, one of a kind, shooting prize sword by Eickhorn has a flawless band Damascus blade by Eickhorn and on the blade it has “the best shooter 1927”. 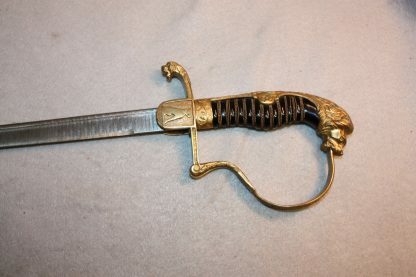 The piece is a Bavarian piece which has the Bavarian lion and shield on the front langet and on the reverse it has had a lion chiseled out on the langet. 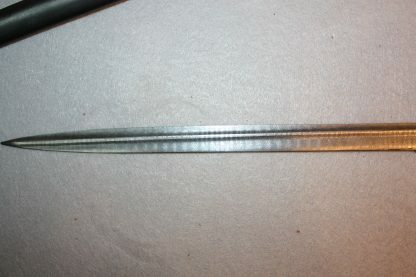 It is a most phenomenal sword. The grip is triple wire wrapped, flawless. Beautiful gold. 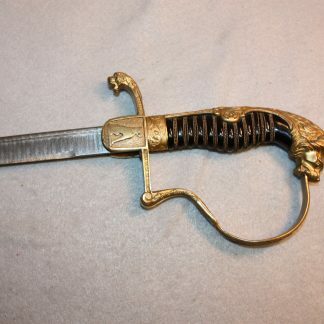 It does not have ruby eyes. It has definitely been hand chaised and has a very early anodized scabbard. As the pictures show, the blade is just superb.